Philadelphia’s Office of Arts, Culture and the Creative Economy (OACCE) is now accepting nominations for Philadelphia’s next Youth Poet Laureate, a position complementing the city’s Poet Laureate. The Youth Poet Laureate position is open to high school students residing within the City of Philadelphia. The selected Youth Poet Laureate will serve a term from June 2015 through May 2016. 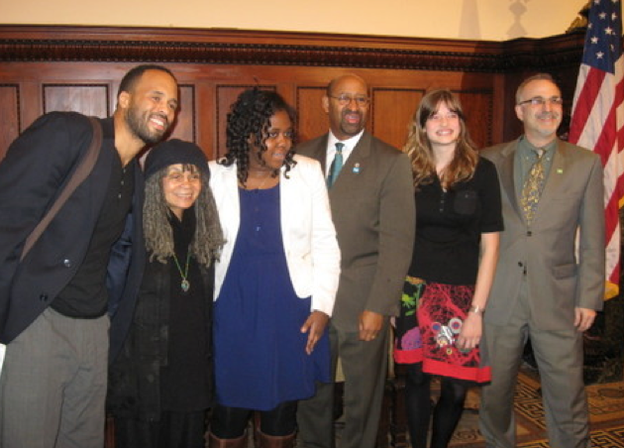 The individual chosen for this position will be given the opportunity to develop his or her talents in poetry, will help to promote poetry throughout the city, and be mentored by Philadelphia’s Poet Laureate applicants must be students through their term as Youth Poet Laureate, therefore students graduating in June 2015 are not eligible. Detailed guidelines and the application can be downloaded or completed online at: http://creativephl.org/YouthPoetApplication.